For the most part, most paints will work, just avoid paints that have acetone in it, or stripping with acetone based items if you are stripping minis, as they can and will melt minis. Pine Sol also can mess up minis as well, if left soaking too long in it. Topic: My first Chaplain, in termi armour. please rate. critizise. Re: My first Chaplain, in termi armour. please rate. critizise. They do look awesome, any chance for some closer shots? Topic: How to make my Leaders stand out? Re: How to make my Leaders stand out? Add gold either completely, or around the edges of the shoulderpads, on the destroyer body, do some gold designs there. Topic: Personal challenge: Speed Painting guard. 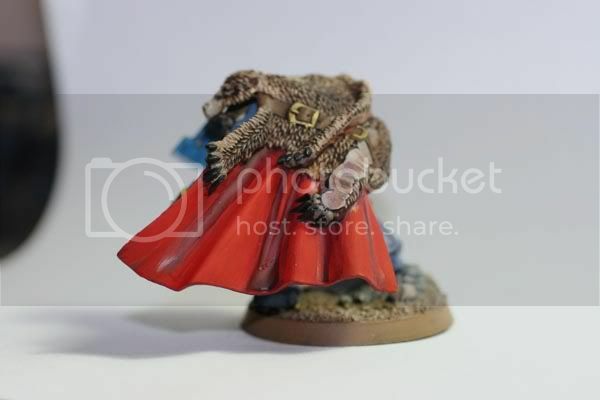 Re: Personal challenge: Speed Painting guard. no picture update, but here is a written one. Got a paper to write for one of my classes this weekend, but hopefully that won't take too long. phatmonk wrote: are you going to wash or dip them? Planning to paint on the dip, but then paint highlights to make them look better. I could use Devlan mud, but I don't want to go through several bottles of the stuff. Personal challenge: Speed Painting guard. 1 slightly thinned overall coat of devlan mud to pick out the basic details, then thicker coats to provide the variation of the pelt on the body of the wolf. Needs sheets of woven bacon somewhere.